I have a twin who always follows me around. Copycat. | details in the fabric.. When we first brought Casper home, he was just 10 weeks old, and I remember he used to be terrified of his reflection. He used to arch his back at the ‘other cat’ in the oven door, or the mirror. He also used to chase his shadow, something I still catch him doing now and then. 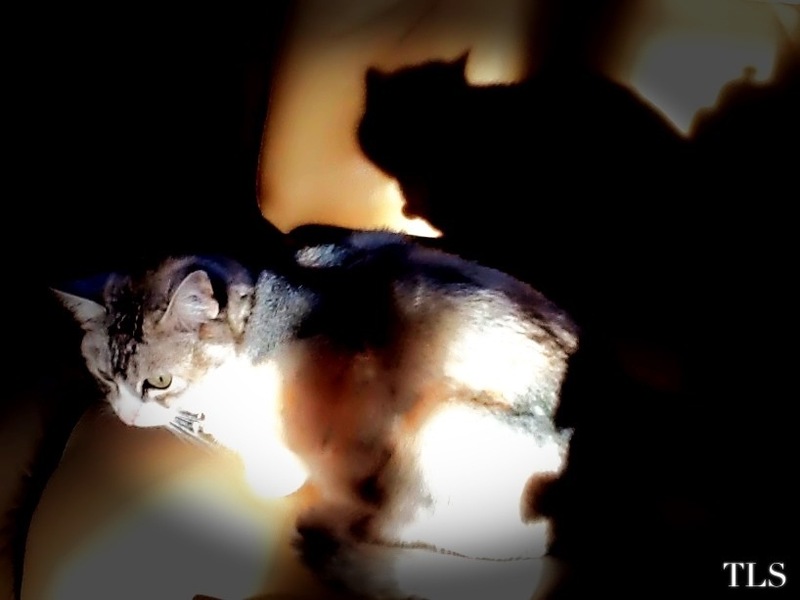 He sits in the sun and stares at his shadow behind him, and then pounces. It’s very odd. It’s also very cold at the moment in England, and Casper doesn’t like the cold. His solution? He sits on the radiator! 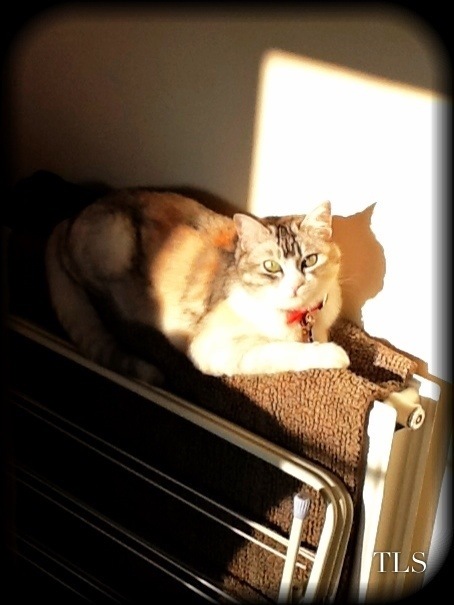 Yesterday we got some beautiful sun pouring through the window, and Casper took the opportunity to sit on the warm radiator in the sun..